Easley, South Carolina is where this super cool, rare, and unusual car is located. 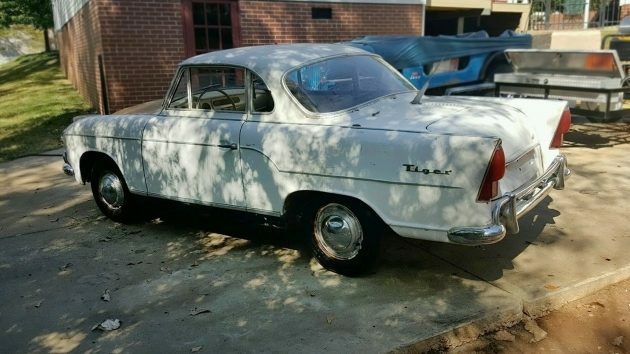 This 1960 Goliath 1100 Tiger Coupé is on eBay with a bid of $200 so far, but of course the reserve isn’t met. I would love to have this rare car! Goliath was part of the Borgward group in Germany and, this is where it gets a bit confusing, starting in 1958 Goliaths were sold under the Hansa name. But this car clearly is badged as a Goliath. By the end of 1961 the whole company was out of business, lock, stock, and barrel, or Borgward, Hansa, and Goliath. 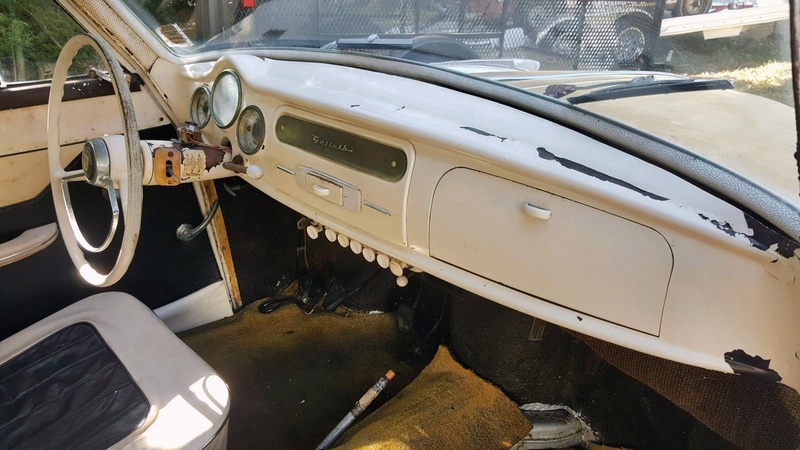 This auction is actually for two cars, the rock-solid white one seen here and this one, a Luxus version, which although not looking rock solid, does come with a very rare twin-carburetor engine which may be worth the price of admission all by itself. Ok, we’re only talking about a 15 hp gain, but who doesn’t want the highest optioned engine available? This is really a great design, in my opinion. This entire car company was out of business before the name Sunbeam Tiger (1964-1967) was even on anyone’s lips, so the Goliath 1100 Tiger most definitely came before the Sunbeam Tiger did. If I have my history correct, even the Sunbeam Alpine (1959-1968) came out around two years after the Goliath 1100 did (1957-1961). You can see one of the rare features of this car, the white rubber around the windshield and rear window. 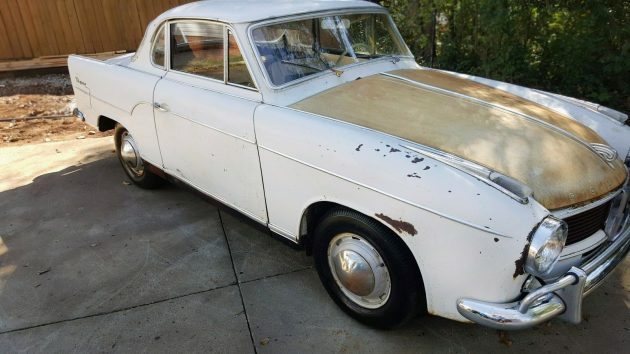 This car could use a full restoration, but you’d be upside down financially in no time. It would be a fun car to do on your own, though, if a person had the skill and space. The body really doesn’t look bad and the interior looks pretty solid and complete. But, as you can tell everything here needs work. This car could be worth $25,000-$35,000 in restored condition so if you can do a lot of the body, engine, and interior work yourself you may be ok. That’s a 4-speed column shifter. This is a 1,094 CC four-cylinder boxer engine and this one would have around 45 hp. The rare twin-carb model included with the sale would have around 60 hp, so it’s not a huge gain but who wouldn’t want to have a 33-percent boost in power? This is a front-drive car so it’ll be perfect for those jaunts to the ski resort in the mountains. No, wait, you wouldn’t drive this car in the winter, would you? I think this would be a fun project if a person had room for the extra car in case any parts were needed. It’ll be a lot of work but you will not see another one at just about any car show that you bring it to! scotty, i visit bf often. love this site. i can usually guess which are your contributions before i click on it. always well researched and wrote. keep em coming. thanks.
. . . you probaly wouldn’t see another one at a car any on car show on THIS continent anyway! FYI, there was an earlier version of the Sunbeam Alpine that ran from 1953-1955. 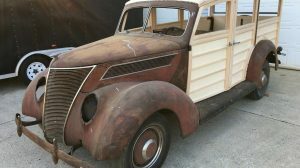 Extremely nice restoration for sale in SoCal. 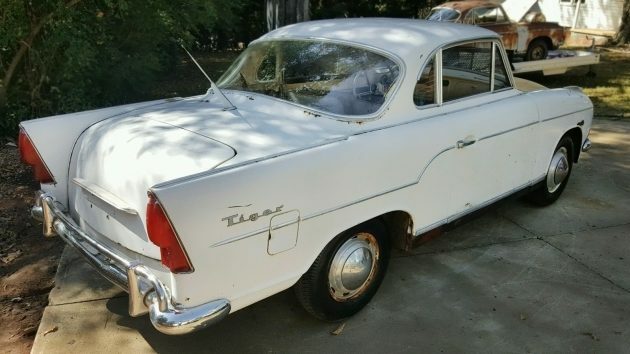 My first car was a ’59 Borward Isabella TS, bought in Salt Lake City Utah. Very solid little near copy of the same vintage Mercedes. Used it my first yr in College near LA. Drove it straight thru, 12-13 hrs thru Nevada often doing 80-90. Had same swing axle rear drive as Mercs – one side hinged off diff, other attached rigidly to diff, so only one Ujoint boot. So about 5 yrs ago, I find a Goliath Tiger in Lansing Mich – a runner. bought it, but floor/sills very rusty. Chassis is interesting – about 6 in. diam. center tube like Lotus – with front semi-subframe at front holding whole powertrain. Rear of tube holding trunk & rear axle. Transverse leaf springs at front. This one had the twin carb engine & ran nicely. Driveshaft Ujoints very loose, but it drove. Had earlier flat-top dash without speedo hump. The roof is a bit chopped – lower than Goliath/Hansa sedans – which put the roofline a bit into my vision, at 6′ 3 “. Best thing about design is every single component sits atop the engine, so all you have to do is pluck them off, like fruit at a market! Super easy to get to everything. Water pump is integral part of rear of generator. Alum. block & heads – much smarter design than my ’51 Jowett Jupiter boxer 4s – IRON heads, alum. block! Since most of structure is in center tube, the sills tend to rot out, along with trunk, etc, as everything else but spine is monocoque sheetmetal. However, you’re not going to find spare parts easily – I luckily got a workshop manual with the car. 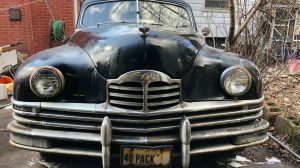 But as usual, had too many projects so sold it to a guy in PA who ran his own restoration shop, rehabbing Mercs and whatever leftover from E coast hurricane. Never did get to take mine to where I could drive it on the road – just around the yard. Oh, and the gas tank is a donut part of the trunk floor – a bit complex to rehab vs standard boxes. Once again we have someone hitting the thumbs down on almost all of these comments for no good reason other than…..he can. Dolphin, it just goes to prove beyond a doubt that this dimwit wasn’t around when they were handing out brains, it almost makes you feel sorry for them, I hope they don’t have offspring to pass their stupidity on to, can you imagine a whole family of them? God help us all ! Don’t let it bother you Dolphin. It just doesn’t matter. Love it. When I lived in Germany, I had a Ford Taunus with a 4 speed on the column. Cool car and I broke the shifter speed shifting.. In my youth I once had a van (ex ambulance) with a column shift. The lever broke just as I was changing gear going round a bend, luckily in a built up area so I was going slow. Depressed the clutch and drifted to a halt just outside an ironmonger shop where I bought a mole wrench ( not sure if this is the terminology you use in the States). I clipped it in position on the stub of the old lever and it worked so well that I kept it on the van for 11 months until the next yearly test. It caused some amusement at the test station though needless to say the van failed the test. In the UK very few vehicles have a column shift and I was unable to find a replacement lever so I scrapped the van. I did, though, keep the mole wrench and 49 years later still have it! Mike, we call them vice grips over here (after a manufacturer, like Kleenex for tissues). Just curious–is the “Hansa” company mentioned above the same one that built the Hansa business jet a few decades ago? The full name of that company was Hamburger Flugzeugbau. Never seen one, love this!!!! Amazingly well thought out, hope it does well for both buyer and seller. VW type thinking with water cooling, this could have done well if they had the ability to make the numbers. 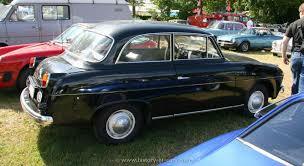 My first car was a 1963 Borgward Isabella Combi. 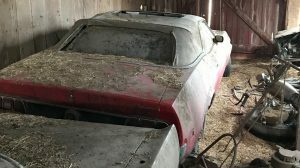 Bought it for $200 in 1969. 2nd owner. Memories. Became Subaru 1000 after the 360. Nice car and write up. 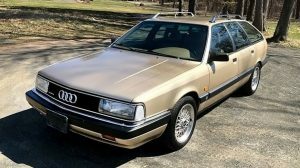 I was never too familiar with these but while in college back in the early 80’s, one of my true older HD biker friends bought a Goliath and I could be wrong but I remember it being a green station wagon? or so I thought. The neatest part was that someone prior to him owning it had replaced the engine with a Harley knucklehead engine. Being an avid HD fan he bought the car, pulled the engine to keep and then sold the car off around 1984. If I’d had any money my dream was to buy the complete set up and get it running as is but some how display the HD engine off through a visible porthole in the hood or something . Another dream not fulfilled but a memory that still stays with me! I have been aware of a lot of weird Borgward products but have never seen this particular Goliath hardtop version. I wonder if this has the same flat four as the Borgward/Lloyd Arabella that was so troublesome it helped put the company out of business. This collection would be a great buy for someone who won’t mind doing a lot of work and spending a lot of time and money looking for parts. Now the Isabella was one very solid car. My next door neighbor had one when I was a kid and I rode in it a lot. Impressive even to me, a kid, all the way back then. There was just something about it that said “quality”. 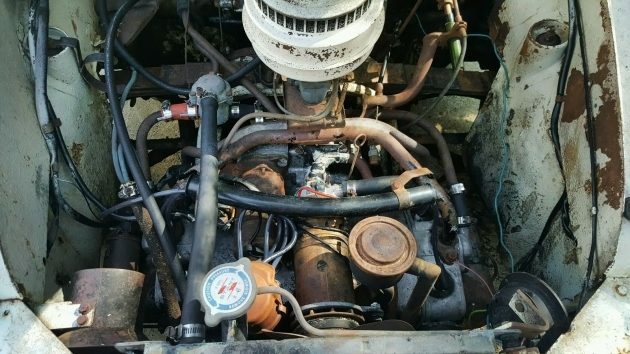 Guys, the Lloyd Alexander I had a chance to buy out of a Detroit garage sale was a FWD twin cylinder air-cooled engine with OHC and integral gearbox if I remember right – with gas tank on firewall like VWs. The car was smaller than the Goliath, but the engine was quite sophisticated. A Chrysler engr friend and I managed to get it started after getting a backfire which set the engine on fire, but we doused it. It was a wagon, and only reason I didn’t buy it was the swing axle rear suspension which scared the heck out of me even to it was a front driver. It looked like it would tuck under faster than you could blink. But sure wanted to study that drivetrain – it looked pretty clever. Actually, the first Goliath I ever saw was around 1971, being used as a doghouse behind a downtown diner in Wilmington, Delaware! It was pink, and sunk into the dirt up to the hubcaps, but intact. That’s where I first saw how nicely the boxer 4 was packaged – marvelous for service! Still think it’s the best layout I’ve ever seen and I’ve worked on a helluva lot of oddball designs. When the Tiger came out, the company was already in financial trouble. Other German companies had cute 2-door versions of their sedan, but Goliath had little cash to create one. So the Tiger is basically a 2-door 1100 sedan with a shortened roof, no back seat, and even the trunk lid is the same, hence the very large panel between the trunk lid and rear window. See the attached photo of a standard 1100 2-door.